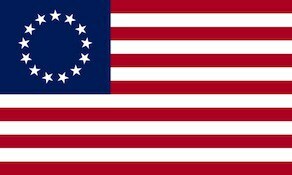 The 3rd North Carolina Regiment was raised on 16 January 1776 at Wilmington, North Carolina for service with the Continental Army. In April, Jethro Sumner was appointed colonel. The regiment was present at the defense of Charleston in June 1776. The 3rd Regiment transferred from the Southern Department to George Washington’s main army in February 1777. Assigned to Francis Nash’s North Carolina Brigade in July 1777, it soon saw action at the battles of Brandywine and Germantown, and was present at White Marsh. Sumner went home ill in early 1778. Together with the 4th, 5th, and 6th North Carolina Regiments, the 3rd Regiment was reduced to a cadre and sent home to recruit up to strength on 1 June 1778. The rebuilt regiment returned to the main army in late 1778, but it was reduced to a cadre again in April 1779 and sent back to its home state. Assigned to the North Carolina Brigade, the regiment fought at the Siege of Charleston where it was captured by the British Army on 12 May 1780. The regiment was officially disbanded on 15 November 1783.